There are many different reasons that some people are overweight. No matter what the reason, I don’t think strangers have a right to judge or criticize them. If you have nothing nice to say, say nothing at all. But it appears not everyone follows this basic rule of thumb. 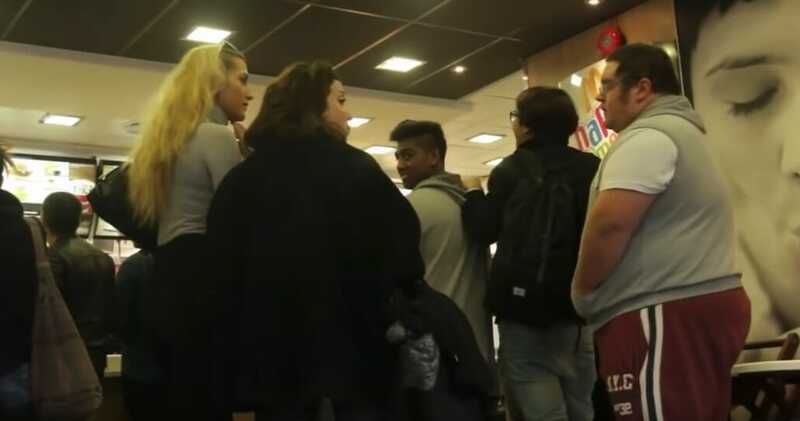 In this viral video, we see two slender young women bully an overweight guy in a McDonald’s line. The girls first talk to each other, expressing how disgusted they are of the guy standing in front of them in line. 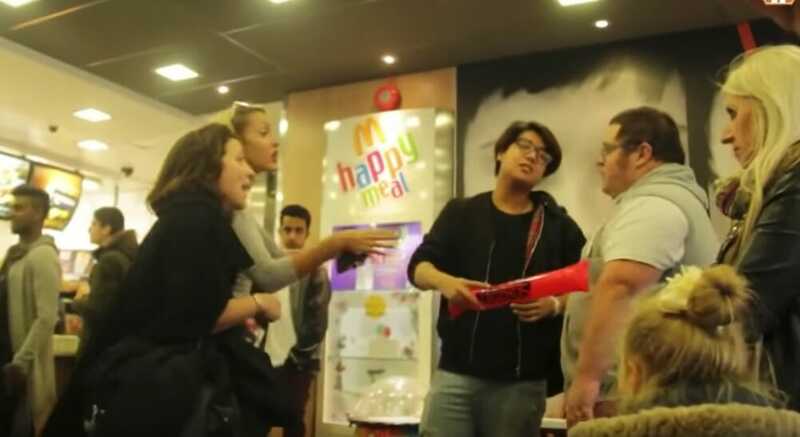 But they soon turn their rage against him instead, cruelly telling him he’s ‘fat enough already’ and that he should not be eating at McDonalds. They go as far as to tell him he shouldn’t be eating anything at all. Thankfully, the situation is fake — it’s the result of a social experiment conducted by the YouTube channel Troll Station, reports The Sun. It takes some time and further, intense harassment — more time than I thought it should have taken — before others in line finally begin to react. Still, the girls plough on with their cruel mockery and continue to insist that the overweight guy should leave the fast-food chain immediately. Watch the social experiment unfold in the video below to see what happens next. You can scroll to 2:35 to see how the stranger comes to the victim’s defence. Note: high use of profanity — watch with caution. Before realizing that this was a social experiment, I was horrified. But it serves as an important reminder that we never know the cause or causes behind a stranger’s obesity. At the end of the day, diet and how it affects how we look is everyone’s individual choice and problem — and not something we should put our noses in. In today’s society, it seems there aren’t many who dare to stand up for others, so it warmed my heart to see the man step in to defend a perfect stranger and speak up against these girls’ cruel behavior and words. Share this video with your friends on Facebook so that more people can see it. Perhaps it can serve as a reminder for people to dare stand up for those who are more vulnerable or weak!